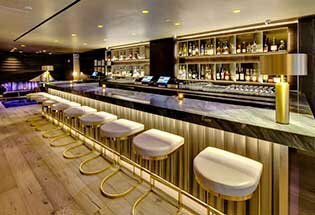 Tickets for Monarch Lounge NYC New Years Eve 2020 are currently not on sale. 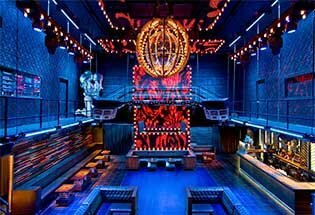 Monarch Rooftop Lounge, an urban chic nightlife venue located on West 35th Street, is beautiful, fun and perfect for night owls. From nightlife guru Ric Addison, owner of other established Manhattan haunts such as Inc. Lounge at the Time Hotel and The Bar at Dream Hotel, Monarch’s nightlife roots are well-seeded. The impressive 5,000 square-foot, 18-floor space boasts equally amazing indoor and outdoor spaces. The spacious Monarch is anything but stuffy – the vast space can comfortably hold up to 300 patrons. Monarch’s ambiance is a modern one, rife with geometric-looking lounges and windows… combined with a distinct vintage undertone. Amidst the glamorous floor-to-ceiling glass doors and sleek silver floors, you’ll also find vintage bricks, white hand-painted washed wood panels and raw iron columns throughout. The two distinct decors bring together the best of both Scandinavian-chic and modern New York city flair. And of course, the views from the stunning rooftop are breaktakingly awesome, with the perfect view of the iconic Empire State Building right in front of your eyes. 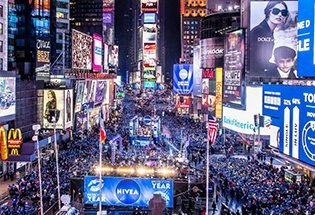 If you’re looking for a picturesque and fun New Year’s Eve, Monarch is the perfect party spot for you! The doors to this awesome celebration open at 8 PM - with a ticket to Monarch’s NYE 2015 bash, you will enjoy all you could ask for all night long. Starting at 9 PM, you’ll enjoy six hours of premium open bar. Drink all the festive cocktails you could ask for… and go back for more! Bring your dancing shoes, too, because a live DJ will spin festive music all night long! 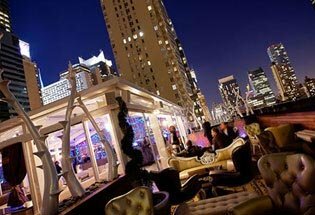 You can dance and drink inside or out – either way, you’ll be surrounded in glamour, glitz and New York City awesomeness! Festive party favors will be passed throughout the night, sure to make your first pictures of 2014 fun and unique! As the hour nears midnight, ring in the new year with a champagne toast. So join the Monarch madness now – you won’t want to miss out! Dress to impress.